Technical analyst Shardul Kulkarni of Angel Broking has maintained 'buy' rating on TVS Motor Company Limited stock with an intraday target of Rs 62. According to analyst, the stock of the company can be bought with a stop loss of Rs 55. The shares of the company, on March 16, closed at Rs 57.85 on the Bombay Stock Exchange (BSE). The share price has seen a 52-week high of Rs 87.45 and a low of Rs 37.25 on BSE. Current EPS & P/E ratio stood at 4.41 and 13.39 respectively. India's third biggest two-wheeler maker, TVS Motors, is eyeing a low-cost motorcycle to prop up volumes in the country. The bike, when launched, would be the low-priced motorcycle in India. In addition, the company announced that it was proposing to re-enter the electric scooters market by the coming fiscal. TVS Motors Ltd has already formulated an electric option of Scooty Teenz, together with another novel product for India. H S Goindi, president (marketing), TVS Motors said, "We are testing 50 electric scooters in towns across the country. Depending on the feedback, the scooters will be launched sometime in the next financial year." 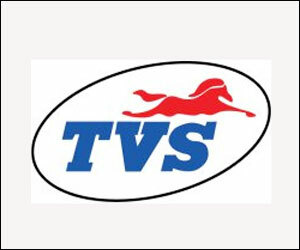 TVS Motor Company registered 24% increase in its sales during the last month to 1,77,412 units as compared to 1,42,676 units during the corresponding period of 2010. For the period April 2010 to February 2011, the company's cumulative sales remained at 1,855,460 units.